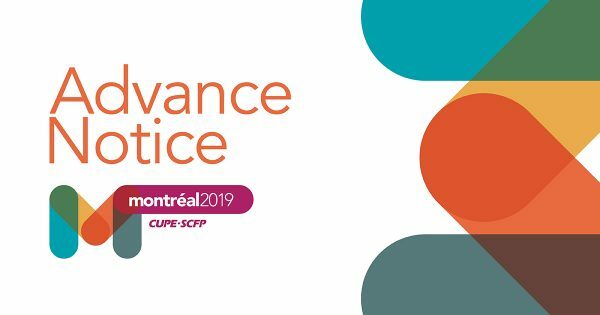 CUPE National Convention is October 7 – October 11 at the Palais des congrès de Montréal, Montréal, Quebec. The official call for the 29th CUPE National Convention (along with credential forms) will be emailed by JULY 9th. Click here for more information.